31 October 2015; Metrojet A321-200; EI-ETJ; flight 7K9268; near Hasna, Egypt: The aircraft was on a nonscheduled international flight from Sharm el Sheikh, Egypt to St. Petersburg, Russia. Air traffic control lost contact with the flight about 23 minutes after departure, after the aircraft reached a cruising altitude of about 31,000 feet. The aircraft crashed in a remote area of the Sinai Peninsula shortly thereafter. All seven crew members and 217 passengers were killed. This is the second fatal crash for this airline. In January 2011, three passengers were killed after a Kolavia Tu154 caught fire shortly before takeoff . Metrojet operated as Kogalymavia or Kolavia until 2012. Traces of explosives were reportedly found in the wreckage and on passengers' belongings, and the explosive device was estimated to contain the equivalent energy of 1.5 kilos (3.3 pounds) of TNT. 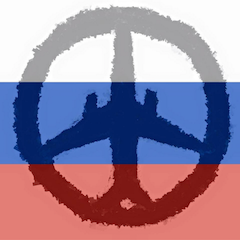 The Russian government, which was one of the parties to the crash investigation, determined that the crashed happend due to the effects of an explosive device that was placed in the aircraft. 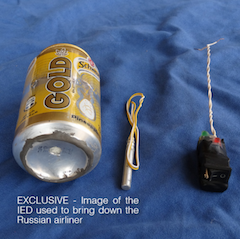 The group ISIS (also referred to as ISIL or Daesh) claimed responsibility for the bombing, and published a photo claiming to be the bomb that was placed in the plane. 8 November 2015 - CTV of Canada interview on how the investigation may change if a bomb caused the crash.